Ever wanted to be an elite athlete—or just feel like one? Tom Brady's new book, The TB12 Method: How to Achieve a Lifetime of Sustained Peak Performance, will detail all of the star athlete's secrets to success. He'll cover exactly what to eat, how to move, and how to hack your brain and body for ultimate success on and off the field. 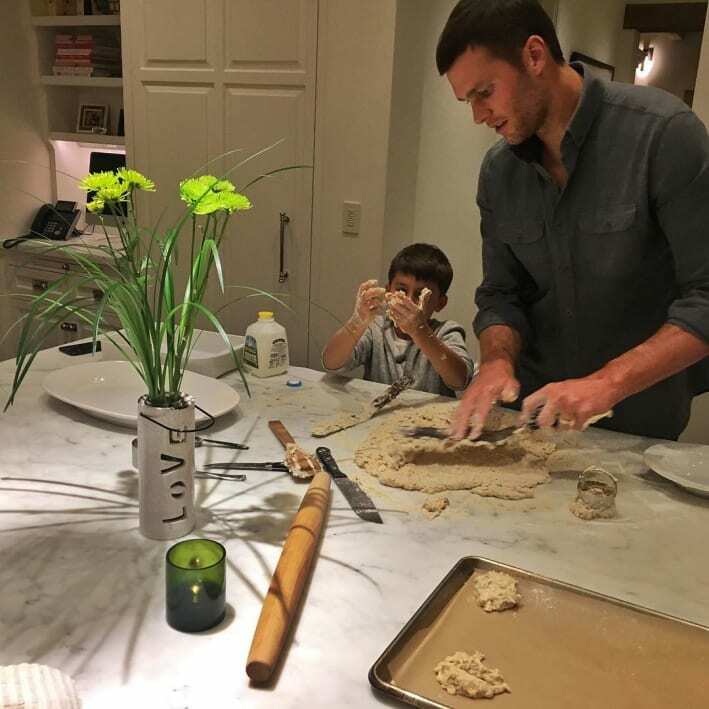 Brady has already sealed his reputation in the wellness world, with his Purple Carrot meal plan collab and his $200 TB12 Nutrition Manual, a "living document" with 89 Tom-approved recipes (the first printing sold out almost immediately). He's shared details of his strict diet before: eighty percent of what he and wife Gisele eat is vegetable, explained his personal chef, Allen Campbell. "And whole grains: brown rice, quinoa, millet, beans. The other 20 percent is lean meats: grass-fed organic steak, duck every now and then, and chicken. As for fish, I mostly cook wild salmon." To stave off inflammation, he avoids nightshades. "So no tomatoes, peppers, mushrooms, or eggplants. Tomatoes trickle in every now and then, but just maybe once a month. I'm very cautious about tomatoes. They cause inflammation," said Campbell. 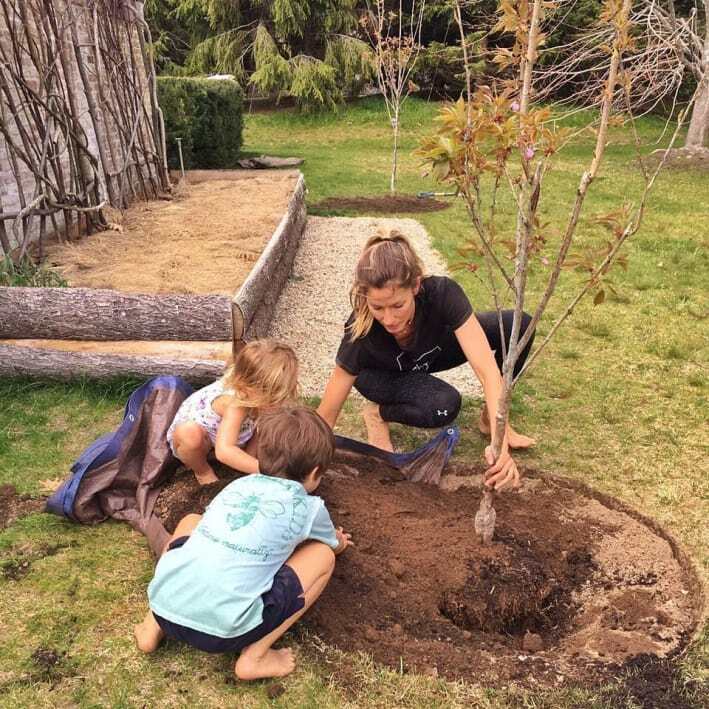 The environmental principles behind food may shine through in the book, as both he and Gisele are outspoken about the importance of living sustainably. She appeared in National Geographic's recent documentary, Years of Living Dangerously, and teamed up with famed environmentalist Paul Hawken to take on climate change. "(It's important) to live that what we believe, right?" she said when interviewed with Hawken. "Live our convictions. In my situation, we have a plant-based diet. We feel better. It is better for our health." The book will likely expand on these principles, and cover the physical elements of his training additionally. It will be released by Simon & Schuster this fall. Ever wanted to be an elite athlete—or just feel like one? Tom Brady’s new book, The TB12 Method: How to Achieve a Lifetime of Sustained Peak Performance, will detail all of the star athlete’s secrets to success. He’ll cover exactly what to eat, how to move, and how to hack your brain and body for ultimate success on and off the field. Brady has already sealed his reputation in the wellness world, with his Purple Carrot meal plan collab and his $200 TB12 Nutrition Manual, a “living document” with 89 Tom-approved recipes (the first printing sold out almost immediately). To stave off inflammation, he avoids nightshades. “So no tomatoes, peppers, mushrooms, or eggplants. Tomatoes trickle in every now and then, but just maybe once a month. I’m very cautious about tomatoes. They cause inflammation,” said Campbell. Next: How Risky Is Eating Sugar While You're Pregnant?